Get Tickets Here for the March 30th Show in NYC! 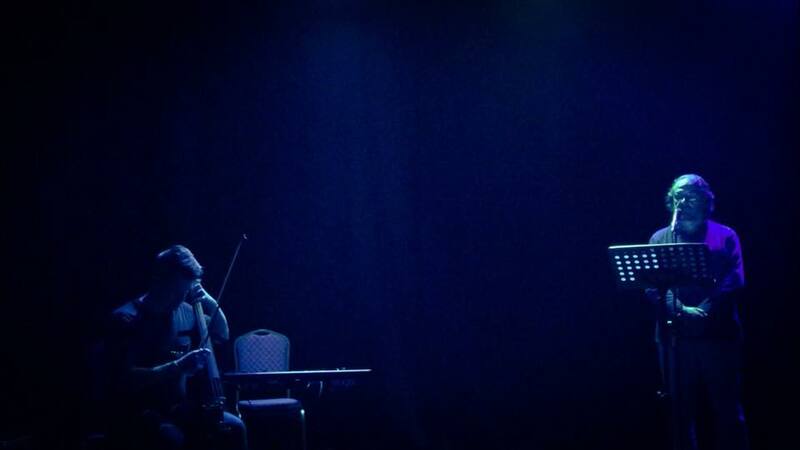 Haunting, beautiful piano and electric cello by James Glasgow. Immersive poetry by Mario Moroni (Lorenzo Montano Poetry Prize). 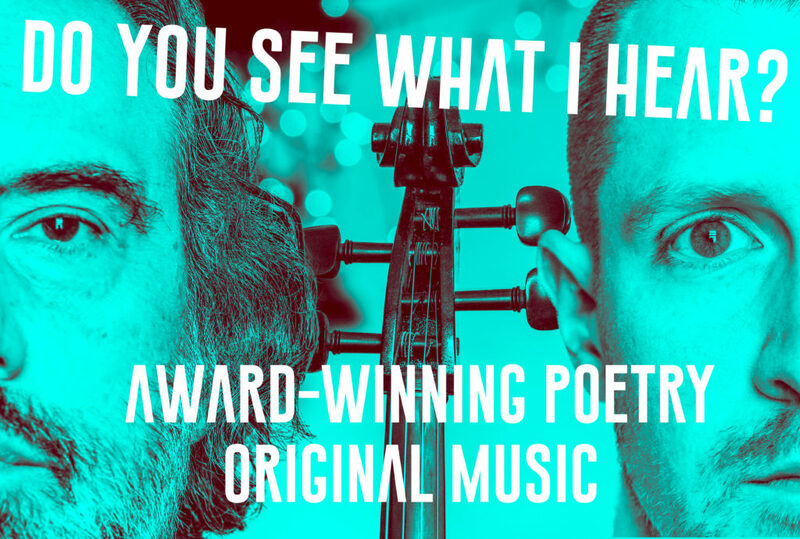 A dramatic conversation between music and spoken word, on its second year of touring after critically acclaimed performances in NYC, Philadelphia, the Edinburgh Fringe, Italy, and Brazil. In the tradition of contemporary avant-garde composers collaborating with poets, such as Hydrogen Jukebox by Philip Glass and Allen Ginsburg, Composer James Glasgow (whose clients include Secondhand Dance Company, Edinburgh Fringe Critic’s Choice winner for Dance) performs the new music he has composed for the new poems of Mario Moroni (winner of Lorenzo Montano Poetry Prize) as Moroni recites his works. The poetry is atmospheric and immersive, and the music is haunting and beautiful, creating a dramatic, almost operatic experience for the listener as the poems and music have a conversation of sorts. 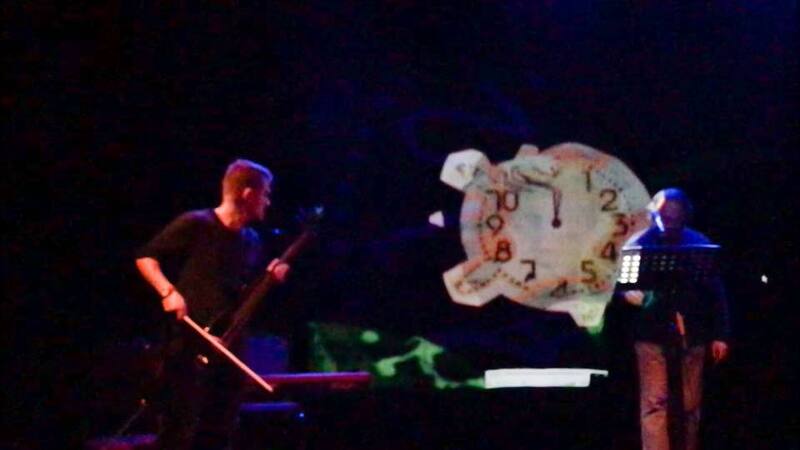 The music is performed on piano and electric cello and ranges from a modern take on impressionism to experimental usage of the cello and a looping pedal. The performance also features projected video images to accompany the poetry and music. While James Glasgow of Strange Fangs Song Factory and Mario Moroni have been creating works and performing independently for years, Glasgow first partnered with Moroni to create new music for Moroni’s poetry in New York in February 2017. Moroni stressed that he did not just want music that played in the background, like many other examples of poetry with music; he requested music that interacted with the reciting voice to paint a greater picture. Glasgow composed approximately 30 minutes of music for piano, cello, and a small orchestra over the first half of 2017, music that emulated a conversation of sorts with the poems Ballads of Maine and Youth. Moroni and Glasgow now perform these works along with a multimedia projection featuring experimental sound engineering and video effects entitled Reflections. 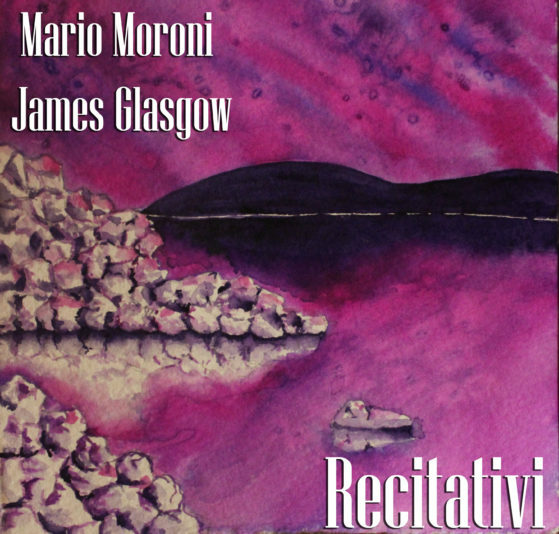 A portion of this work, entitled Recitativi and recorded in its original Italian, has been released on CD and all major streaming services as of February 2018.
method of musical notation based on the symbol language Blissym, playing with the relationship between the rational and irrational, a major theme in Moroni’s works. 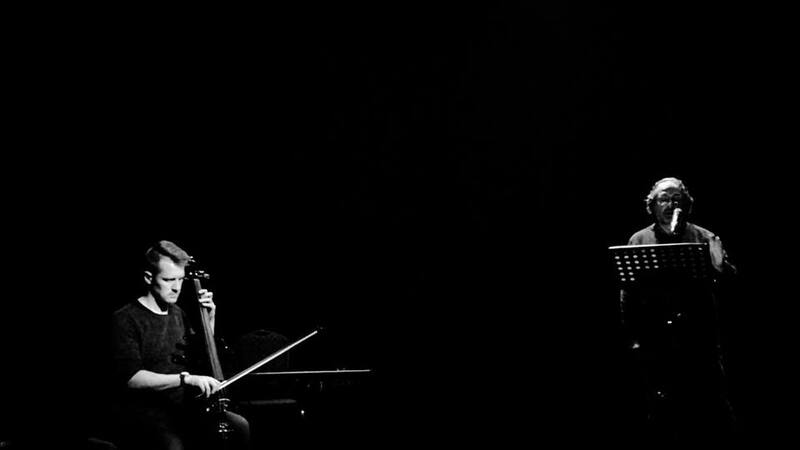 For their 2019 tour dates, Moroni and Glasgow have added a new piece to the program, utilizing complex looped rhythms generated by the electric cello, creating a dynamic back and forth with Moroni’s words. James Glasgow is an American composer and owner of Strange Fangs Song Factory, a music composition and production company in New York. Glasgow’s work has been performed in the United States, Italy, and Brazil. Clients he has composed for include world-touring dance company Galumpha, Sound Engineer Ryan Meadows (Game of Thrones, the Revenant), the New York City Poetry Festival, and over 50 projects for numerous universities, commercial entities, and private clients since 2015. Glasgow’s solo indie/electronic work can be found on all streaming services under his stage name, Strange Fangs. Glasgow specializes in cello, piano, bass, and guitar performance. Strange Fangs Song Factory also partners with nonprofit agencies to offer a Therapeutic Music Program for young people recovering from abuse. Mario Moroni has taught at Yale University, the Colby College, and Binghamton University, in the state of New York. He has published eight volumes of poetry and one of poetic prose. In 1989 he was awarded the Lorenzo Montano prize for poetry. His poems have been published in numerous journals and anthologies. As a critic, Mario Moroni has published Essere e fare (1991), La presenza complessa (1998), and Al limite (2007). He has co-edited three collections of essays: Italian Modernism with L. Somigli, From Eugenio Montale to Amelia Rossellii, with J. Butcher, and Neoavanguardia, with P. Chirumbolo and L.Somigli. In 2006 he released Reflections on Icarus’ Lands, a DVD of poetry, electronic music, and images. In 2016 he released Reciting the Ashes, a CD/DVD for reciting voice, piano, and soprano. 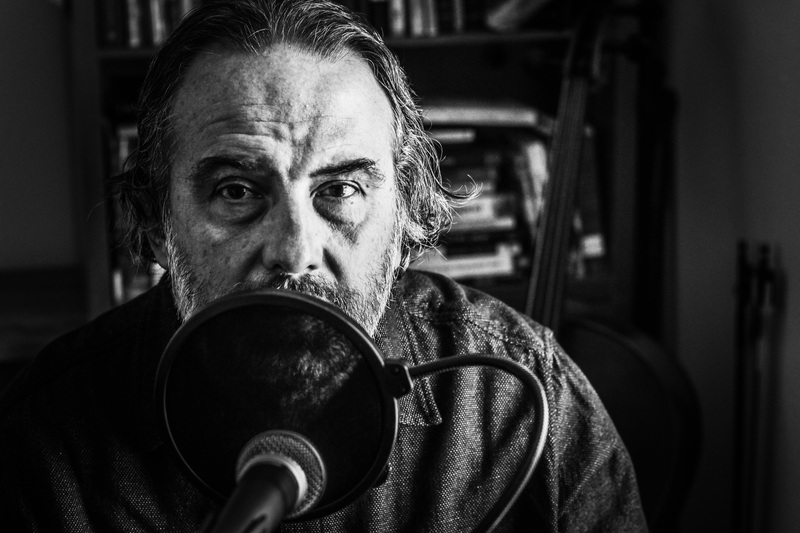 In 2018 he has released Recitativi, a CD of music and poetry created with composer James Glasgow of Strange Fangs Song Factory. Moroni has performed his work in dozens of events in Italy, the UK, Spain, France, Brazil, and across the United States.